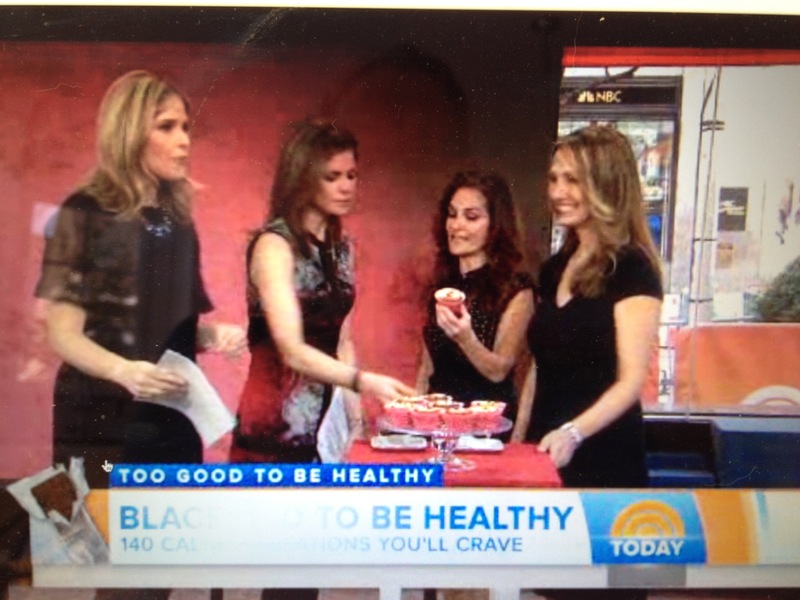 Healthy Cupcakes Take TODAY Show’s Top Prize! Since everyone’s been asking me what the experience was like (and what was in that prize basket? ), I thought I’d share some behind-the-scenes highlights. But first, a few steps back. How did I come about entering this contest? Regular Subee’s Kitchen readers may already know that I’m susceptible to Contest Fever. (For examples, see Almost Famous Turkey Burgers with Cilantro Lime Sauce and Prize-Winning Chile Verde.) So, when I heard the TODAY Show gang (I’ve watched for so many years they almost seem like old pals) announce the “Too Good to Be Healthy” chocolate recipe contest, I jumped at the opportunity. 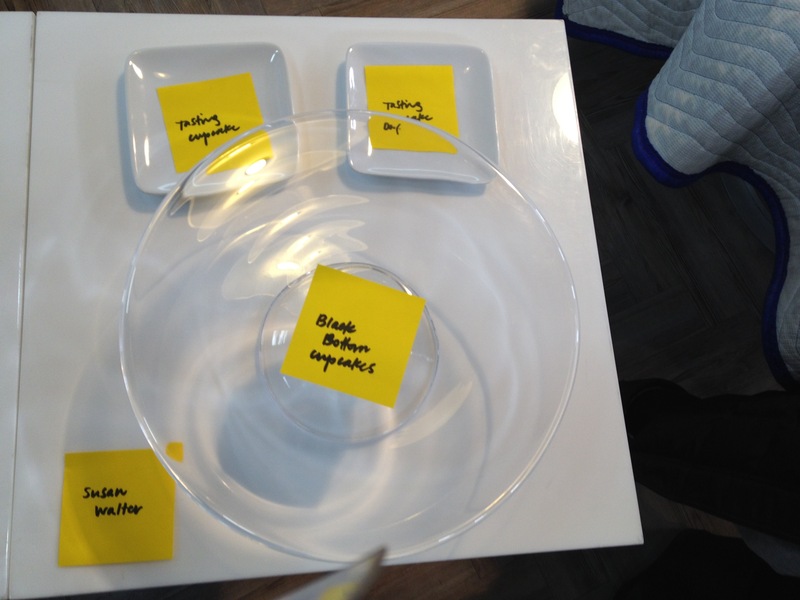 I dusted off my notes from previous Black Bottom cupcake attempts and set out to craft a winning recipe. Because of the sneaky use of prunes and Greek yogurt, I had a feeling this recipe would be a viable contender. The problem was that in past experiments, the cupcakes came out dense and heavy. This time I tried folding two whipped egg whites into the batter, and was much happier with the resulting sponge-like texture. I sent in my contest entry, and also posted the recipe here to share the breakthrough. The segment date of February 6th was quickly approaching, and still no news about the contest. I figured it was yet another “nice try” and had already moved on mentally. 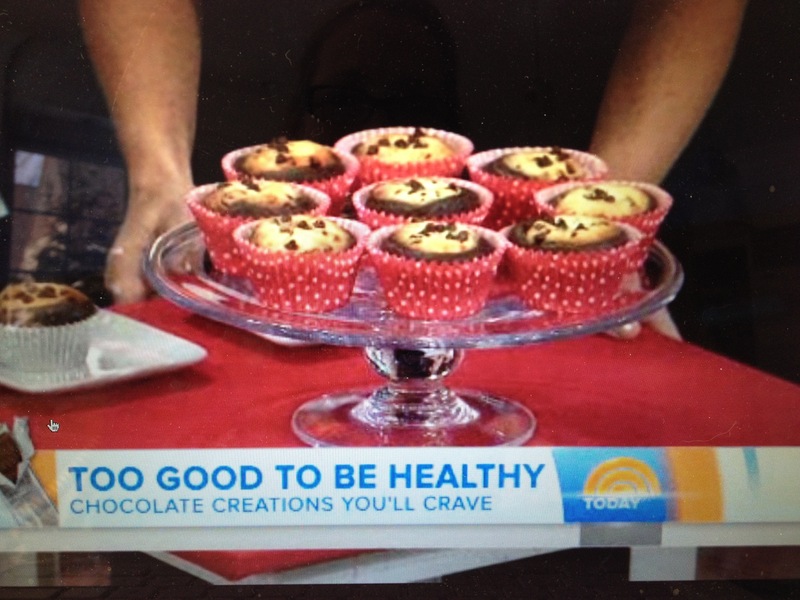 But then– over the weekend I received an email from a TODAY Show producer: My cupcakes made the final three! 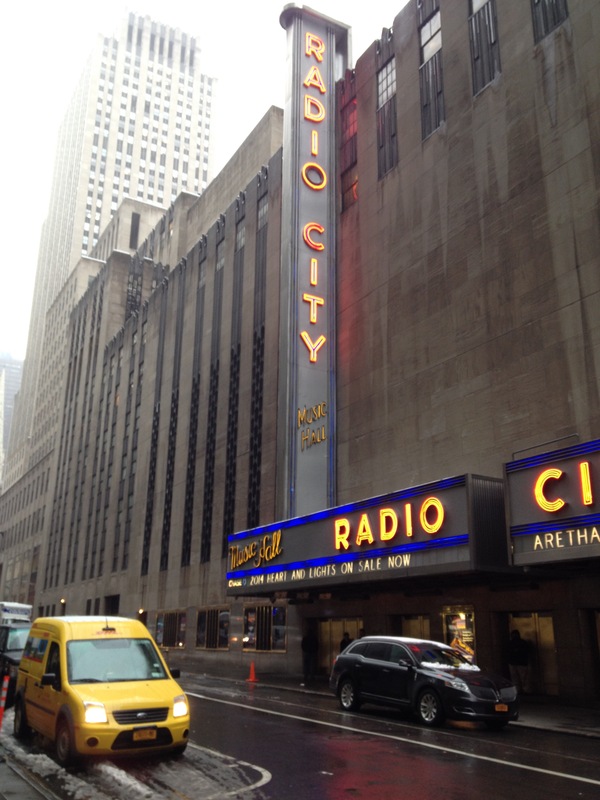 They’d send a car for me on Wednesday for a rehearsal, and would set me up overnight near the studio! This was already a victory in my eyes, like making it to Hollywood week on American Idol. It’s still pretty cool, even if you don’t win the top prize. The rehearsal on Wednesday night was more like a blocking or walk-through. (Notice my deft usage of showbiz lingo after a mere 4 minutes on national television . . .) The night crew was busy setting up sets and props for the next morning’s show. 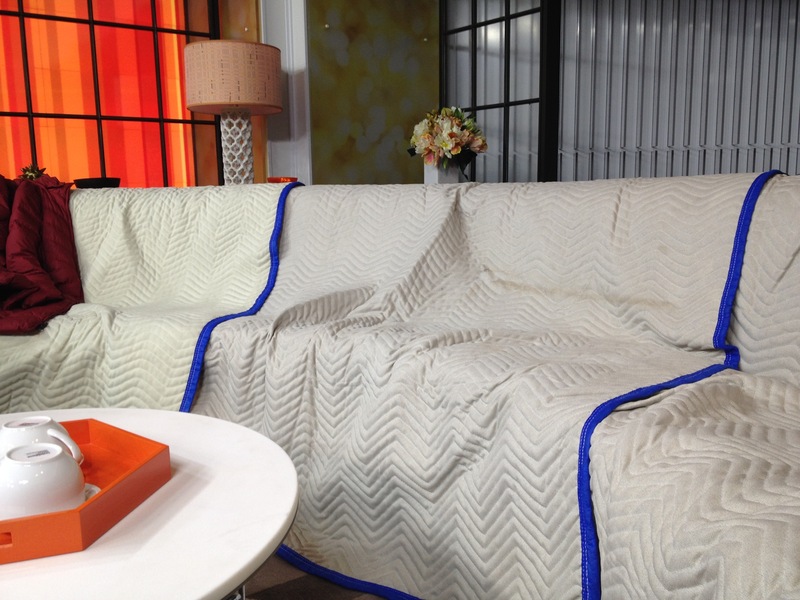 I arrived on set early and got to sit on the special couch where Matt, Savannah, Natalie and Al banter about the daily news. 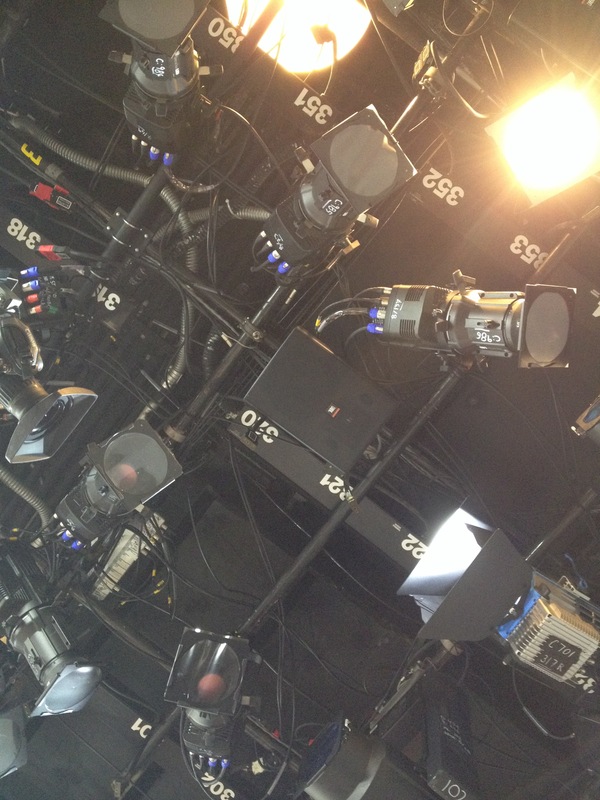 The entire ceiling of the studio is filled with lights – which hopefully means no dark under-eye shadows! Here the stage is set for my Black Bottom Cupcakes. 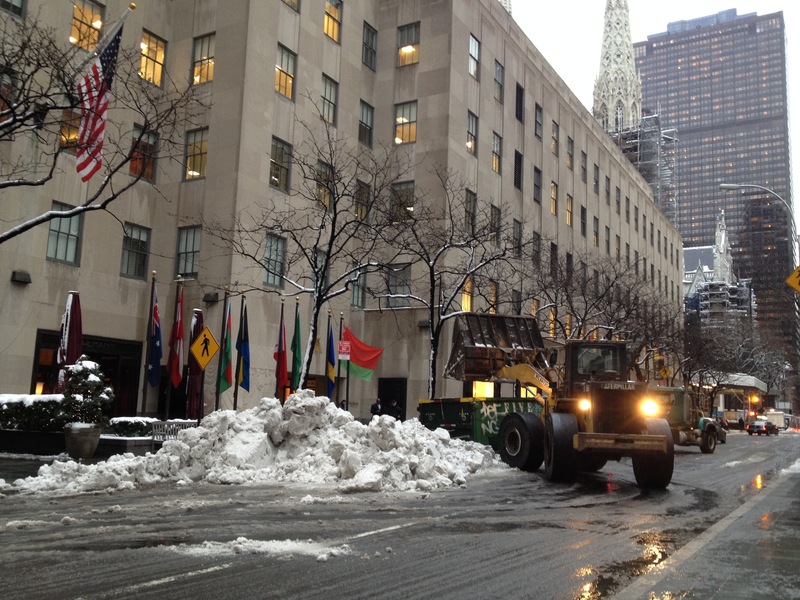 The next morning I walked across Rockefeller Plaza to the NBC studio – popping in to the Buchon Bakery for a quick coffee and scone. 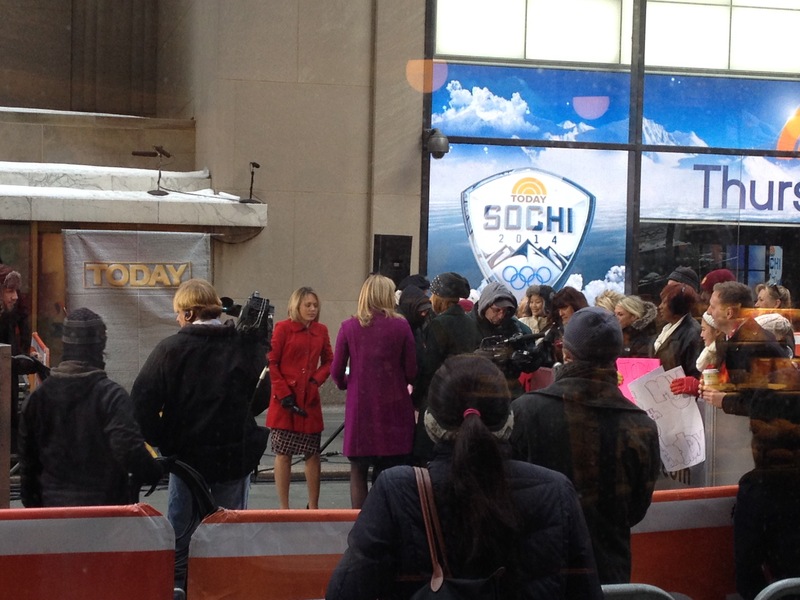 Matt’s in Sochi and Al is MIA, but Savannah, Jenna Bush Hager and weather fill-in Dylan Dreyer pop out to the plaza for a quick appearance. Dylan, Jenna and Savannah (with the funky hat) brave the cold to greet people out on the plaza. A nice (and warm!) 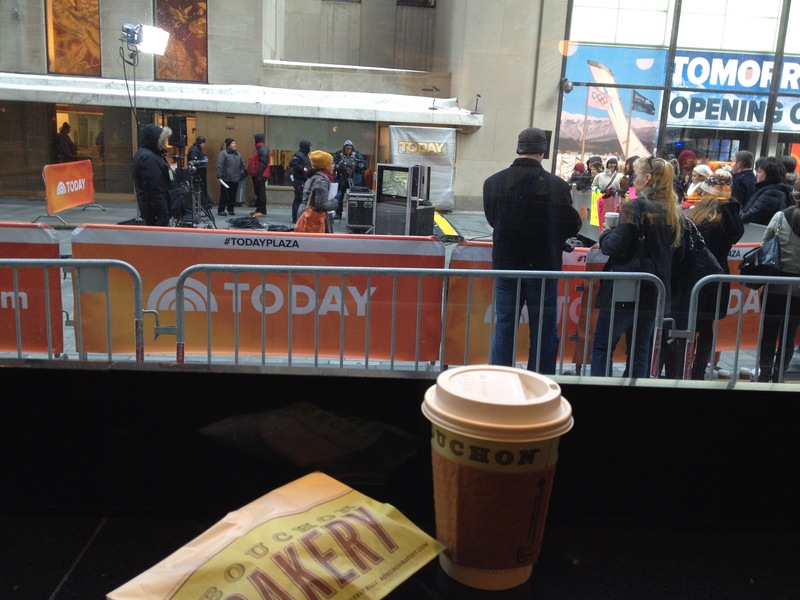 view of the TODAY Show plaza from inside Bouchon Bakery. Already jittery, I’m wondering if that coffee was such a great idea. 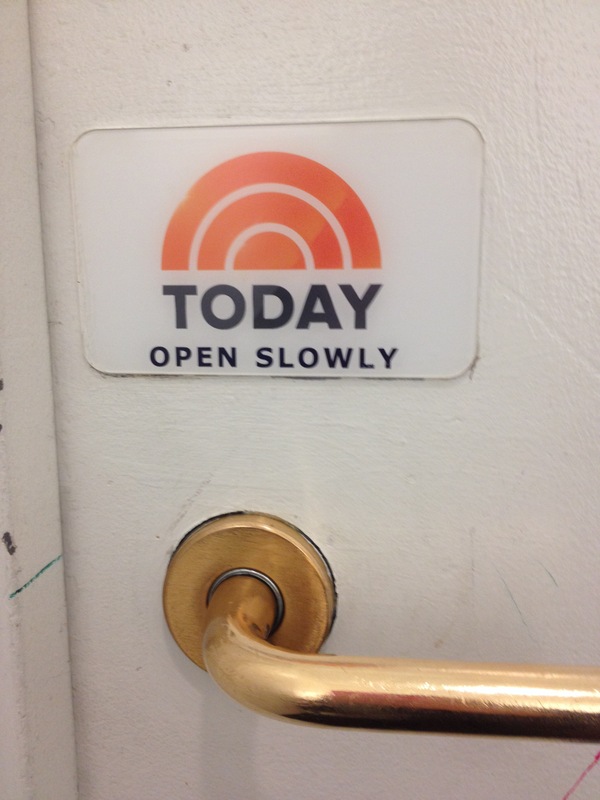 After checking in with a gray-suited NBC staffer, I’m escorted to the green room (which is actually orange) to begin hair and makeup. I walk right past Lindsey Vonn and author Kelly Corrigan. There’s a guy in the green room who looks familiar, but we don’t figure out until later that it was Motown label founder Berry Gordy. The hair and makeup ladies work their magic, and soon I’m ready for (a.m.) prime time! Meanwhile, however, our segment host Joy Bauer is still stuck in traffic. She finally arrived just as we were leaving the green room to get mic’ed, and scurried in and out of hair & makeup with only minutes to spare. In case you missed the live show, you can check out the video clip here. Ta-da! The sweet taste of victory. Thanks, Natalie! So you see – a tasty yet healthy chocolate cupcake recipe is possible, just as winning a national contest is possible. You just have to keep on trying. And what was in the prize basket? Ironically, mostly just drug store Valentine’s Day candy (not particularly “healthy” treats, even though this was the nutritionist’s segment). I shared the largest box of chocolates and the stuffed bear with contestant #1. My daughter was upset to learn that the actual basket was not even included in the prize! Clearly, the main prize was just being there. Joy Bauer was as sweet as could be – chatting with us after the blooper-filled segment, gushing apologies for calling Mandy (contestant #2) Sue, and posing for pictures with us. Me with TODAY Show contributor Joy Bauer, trying to perfect the “foot forward, hip out” celebrity pose . . . So does this victory mean I can finally give contests a rest? I doubt it. If anything, the experience has given me the confidence to set even higher goals. Stay tuned! This entry was posted in Desserts, Healthy Indulgences, TODAY Show!, Travel, Uncategorized and tagged baking, chocolate, healthy desserts, Joy Bauer, low-fat desserts, Today show by subeeskitchen. Bookmark the permalink. So proud of you. The whole beaussant family watched the show and the super star (you!!) Bisous!! How awesome is this! What a great experience and honor—you must be so proud! Congratulations, Sue! You are awesome!!! Sue, loved the whole blog today with all details! Loved your post. Will make sure Ken gets to see it tomorrow. He will especially LOVE your references to lighting. Thanks for sharing the extra details. Yeah for you… and us, we get to enjoy your successes! How cool is that! Love your blog my friend. Can’t wait to see more.